The Manchester & Salford Junction Canal enters the River Irwell under the lift bridge. The first lock is immediately behind the bridge. 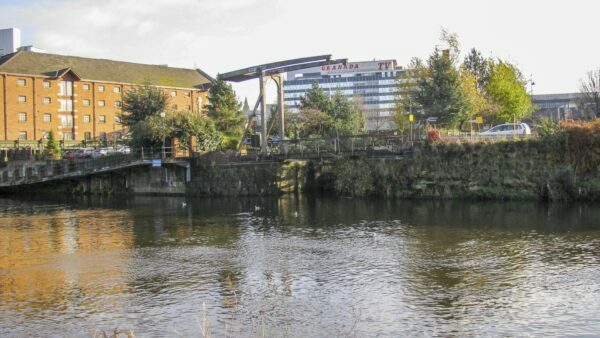 The River Irwell is navigable for around 1.4km (nearly a mile) upstream (to the left) of the junction. Downstream (to the right) is the junction with the Manchester, Bolton & Bury Canal, the former Hulme Locks Branch, Pomona Lock and the Manchester Ship Canal.